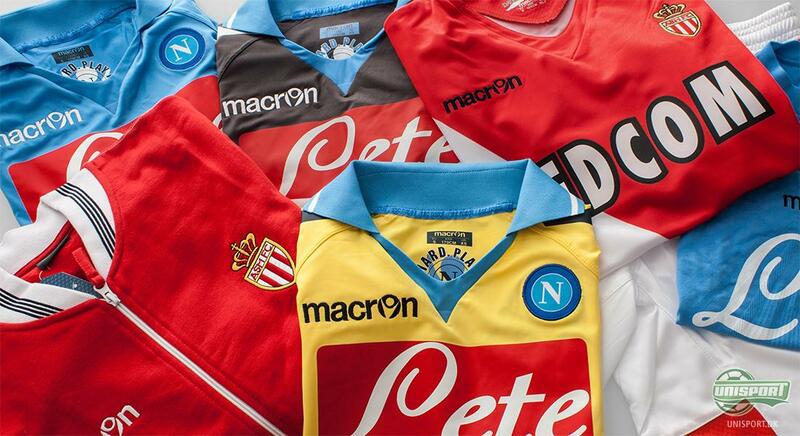 We are proud to announce that we have secured a large quantity of sublime products from the Italian sportswear giant, Macron  an increasingly strong brand that is printed on the chests of the stars in S.C.C. Napoli and on the Danish international, Jakob Poulsen, in AS Monaco. 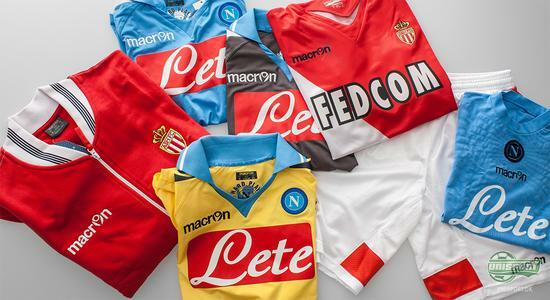 For you to be the next person wearing a Macron product, we have decided to sell the Napoli and Monaco shirts at a staggeringly reduced price. Intrigued? Then go explore further, right here. As you may know, we attempt to seize any possible opportunity to spoil all of you, who love the fantastic game of football as much as we do. This week, such an opportunity arose and we have thus made a little package of fantastic offers for you. We have collected the best that Macron has to offer, in order for you to be able to face the forthcoming winter season in a proper spirit and a proper outfit. You can save as much as 66%, so just indulge yourself in one of our many offers! Imagine yourself sitting in a little sidewalk café on Via Tribunali in the shadow of Mount Vesuvius. The evening sun is shining from a blue sky and you are getting ready to go the game at Stadio San Paolo. You wear your Napoli shirt. Now, we can help you with the latter part of this dream as we have reduced our prices on Napoli shirts from last season significantly. You can save 66% on both the home, away- and 3rd shirts. Buy your favorite now for just 26 and if you prefer to wear baselayer underneath, to fight off the coming winter, you might want to take a look at Napoli Active Skin - the exact same baselayer shirt as worn by the professional players of the club and you can join them for just 19. You save 62%! Macron have established themselves as one of the strongest sportswear brands in Europe and this is especially due to their unique eye for sublime quality and cheeky designs. 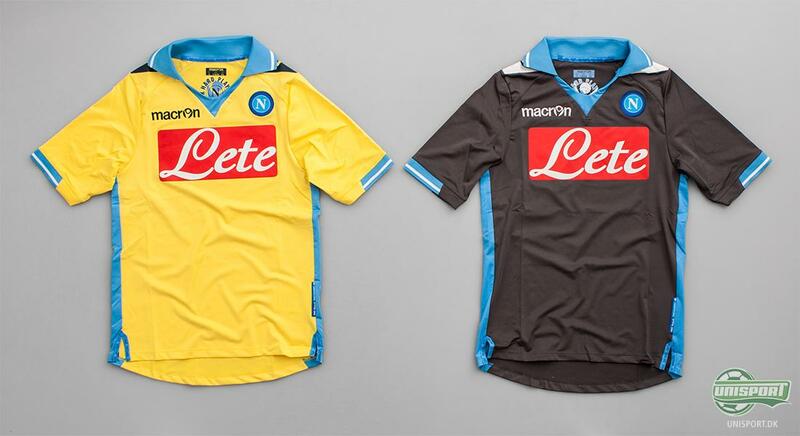 This is particularly visible in their daring Napoli 3. shirt 11/12 that is designed in an warm, yellow colour. 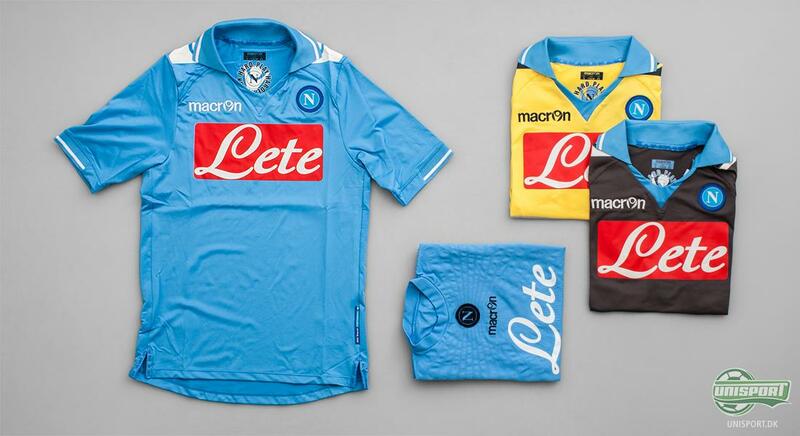 On the home shirt of Napoli from the 11/12 campaign as well as their away shirt 11/12, Macron has taken a more classic approach in their designs, but this fact merely broadens ones field of options, when picking a favorite. Moreover, you have the opportunity of getting your hands on a Monaco Tracktop that would do you good in training as well as on the street. 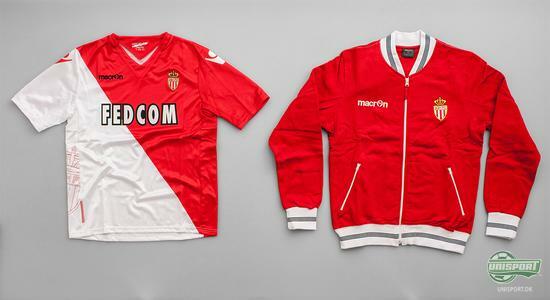 Naturally, this track top is reduced as well and at a price of 26 you once again save 66% So, if your wardrobe needs a slight touch of football and royalty, this AS Monaco track top might be worth considering. However, dont consider for too long  we have a feeling that this particular item will be extremely popular..
You can see our entire selection of AS Monaco shirts- and merchandise right here and find the offer that suits you. The same goes for our selection of Napoli shirts- and merchandise, which you can find here. We love great offers as much as you do and so, we really hope that you will appreciate what we have found for you this week. Now we need your help. We cannot agree upon which of the abovementioned shirts we like the most. What do you think and did you get tempted? Share your opinion with us, by leaving a comment in the field just below this article.